It’s the final chapter of “The Long Halloween” and Alberto Falcone is revealed as Holiday, but that may not be enough to stop his killing spree. Also, what will happen when Two-Face finally rears his ugly head? Before diving into the actual issue, lets examine the cover. It is layered with symbolism and allusions. 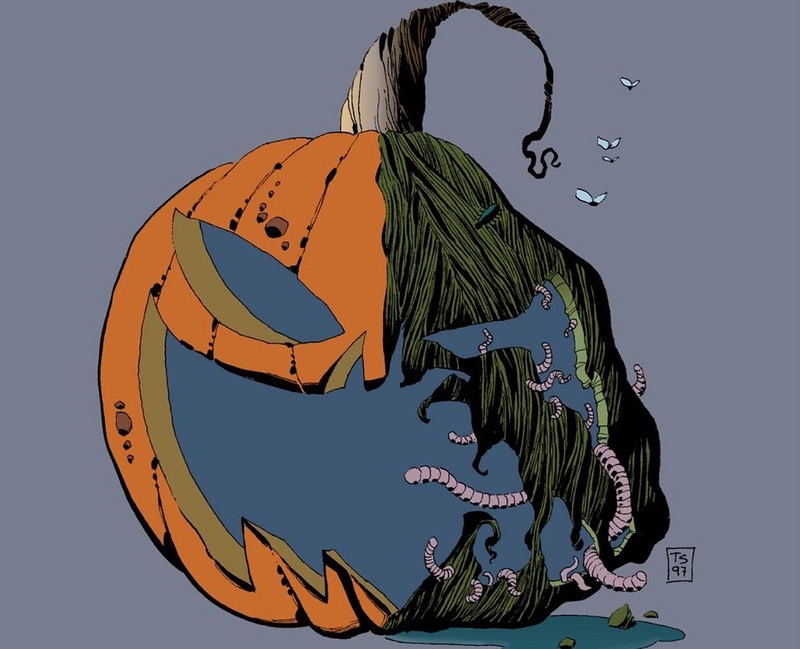 The cover depicts a half-rotten pumpkin. 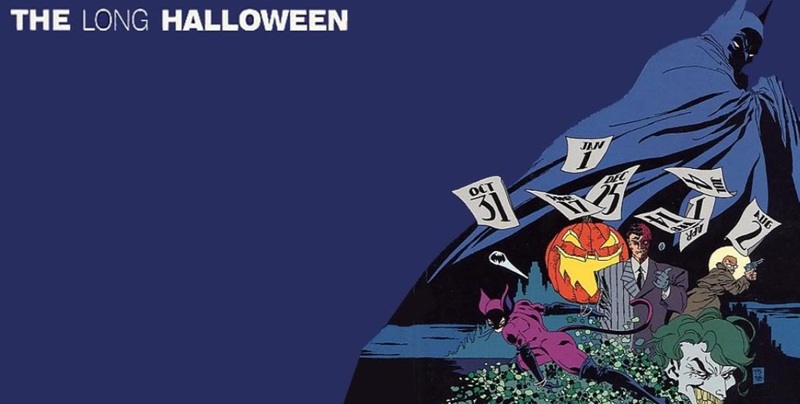 The pumpkin imagery is an obvious visual callback from the first issue’s cover. 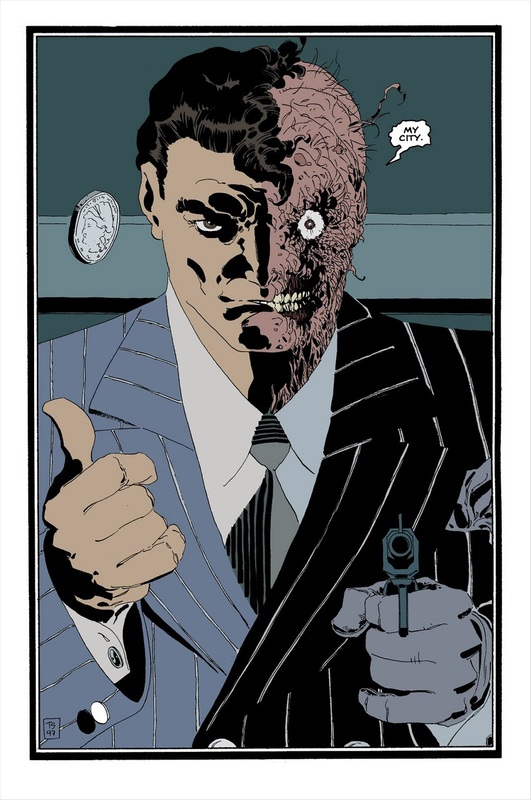 The half-decaying look symbolizes Two-Face. However, it also represents Batman, Gordon, and Dent’s fraying mindset. The desecrated nature reflects how shaken their values are after the events of this chapter. The pumpkin’s face represents Two-Face and other concepts. Alberto definitively states that he is Holiday. 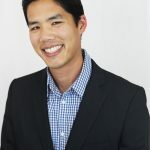 The irony is that he is the “Good son” who never directly participates in the family business. Now, his crimes eclipse his own family’s. Batman makes a foreboding statement. The phrase can be taken a number of ways. 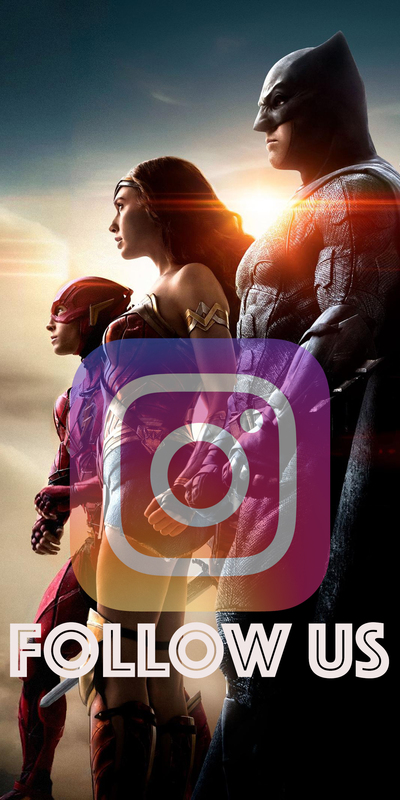 It could mean that beating Batman’s handed out is just the beginning, or it could also be interpreted as a message of hope. 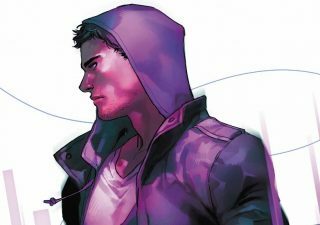 Now that Batman knows Alberto cannot escape him, his mission to end the mob is at an end and hopefully the beginning of something better. The phrase also can be seen as ironic foreshadowing. Now that Alberto has proven the effectiveness of an otherworldly persona, the era of the “Super villain” officially begins. Whatever Batman meant, he pummels Alberto to the point where he is choking on his own blood. Gordon talks Batman down, reminding him to not cross the line. After Gordon books Alberto, Falcone visits him in lockup. 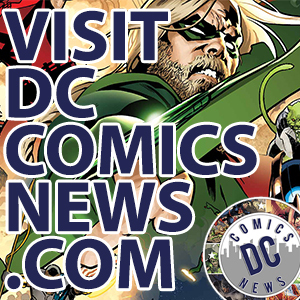 He pleads with his son to confess to only Maroni’s murder in hopes of a lighter sentence. But Alberto does not care. He has always been overlooked and under-appreciated. 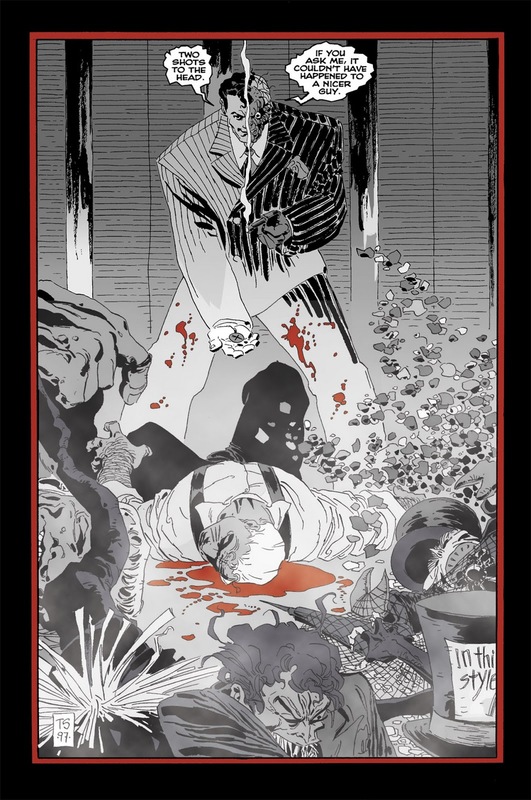 Falcone never let Alberto help in his mob dealings. The irony is that Alberto’s proclaims how he is more famous than the Falcone crime family. Super villains have now replaced mobsters. Take a second to look at how creepy-looking Alberto is when he declares himself as Holiday. Artist Tim Sale creates a surreal-almost supernatural-way of uplighting Alberto’s face. He took Alberto’s defining feature – his glasses – and transformed it into a pseudo-mask. It does not make real-world sense, but who cares? Seeing only Alberto’s eyes and grin is the most menacing image in the issue. Flash forward to Halloween night. 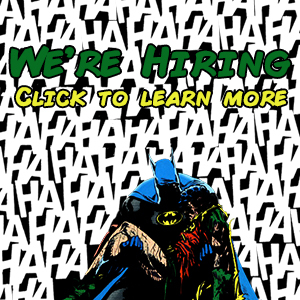 Harvey Dent’s been missing for over three months. Now, he is releasing all of the super criminals from Arkham except for Calendar Man. Snubbing the narcissistic Calendar Man is poetic justice for screwing with the Holiday investigations. It is also subtly laying the foundations for Calendar Man’s arc in Dark Victory. Meanwhile, Falcone throws a tantrum at the news that Alberto is getting the death penalty. Which is weirdly fast for Gotham’s judicial system. It has not even been two months since Alberto was apprehended. Yet somehow the courts already set the trial, held it, convicted him, and decided to give him the gas chamber. Why the heck can’t the courts be as efficient with the Joker? 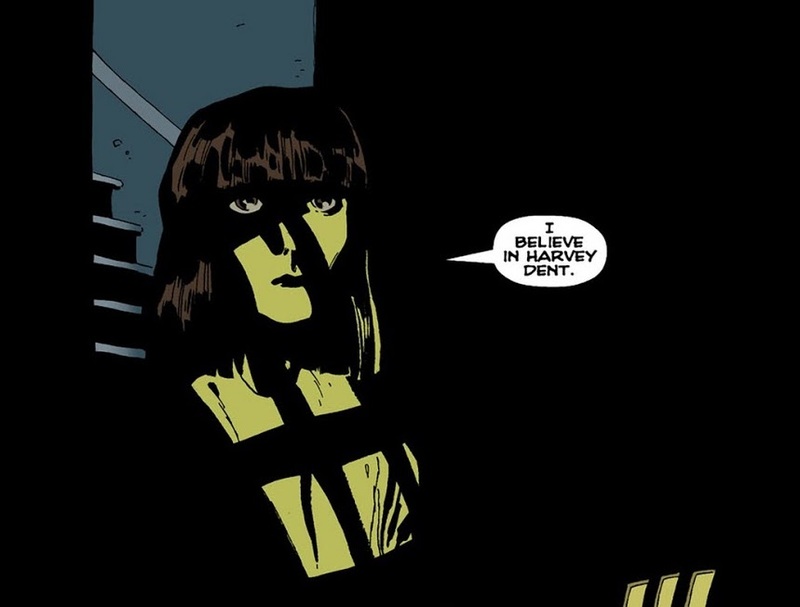 The lettering and speech bubbles add extra visual symbolism for Dent’s slide into villainy. Dent’s dialogue starts out reasonable, but then ends up villainous. 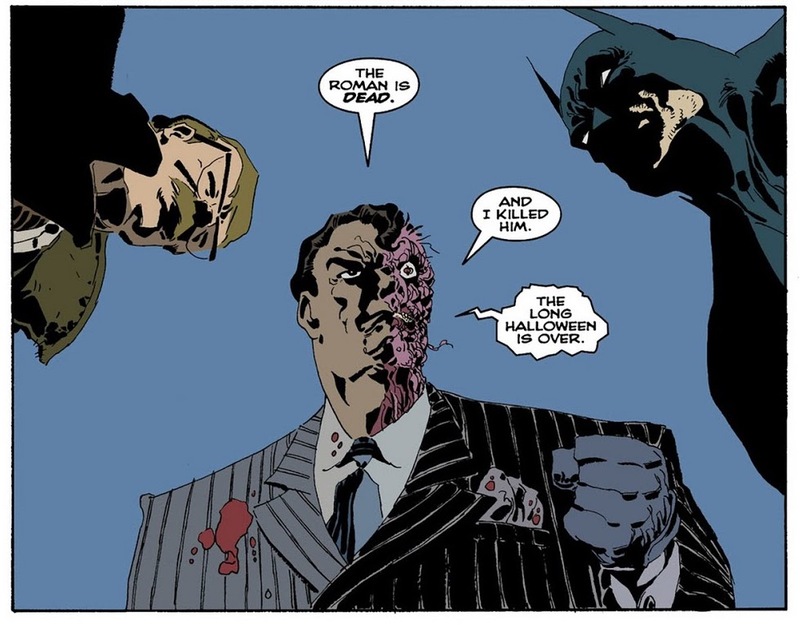 From that point, Two-Face’s speech bubbles become jagged. It is another perfect, suspenseful build-up in a book full of amazing character reveals. However, it is dampened by how illogical the scene is. Why did all the villains decide to come with Harvey? How did Two-Face even get into contact with Catwoman? And what the heck is the Penguin doing there? This is literally the first time he’s appeared in the entire book! How did the Penguin get invited to this party? Don’t worry, though. Readers won’t have time to think about the wonky internal logic, because Batman tramples them in two-and-a-half pages. What stops Batman in his tracks is seeing Two-Face for the first time. Two-Face flips his coin and it comes up scarred. He kills Falcone, thus cementing his role as a remorseless villain. 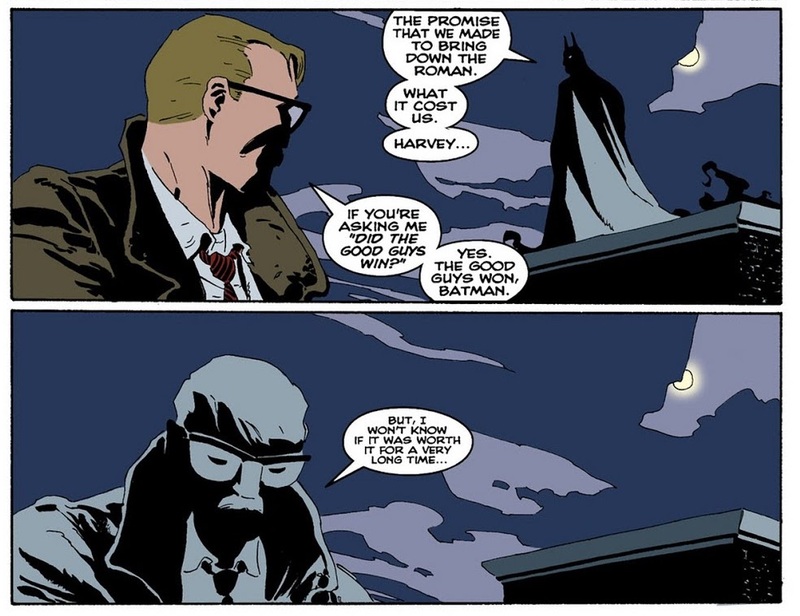 Despite everything that has happened, Batman still believes in Harvey Dent. He reaches out and tries to appeal to their friendship, but, Two-Face is too far gone and knocks Batman out. This is Batman’s last heroic act of the story and it ends in resounding failure. 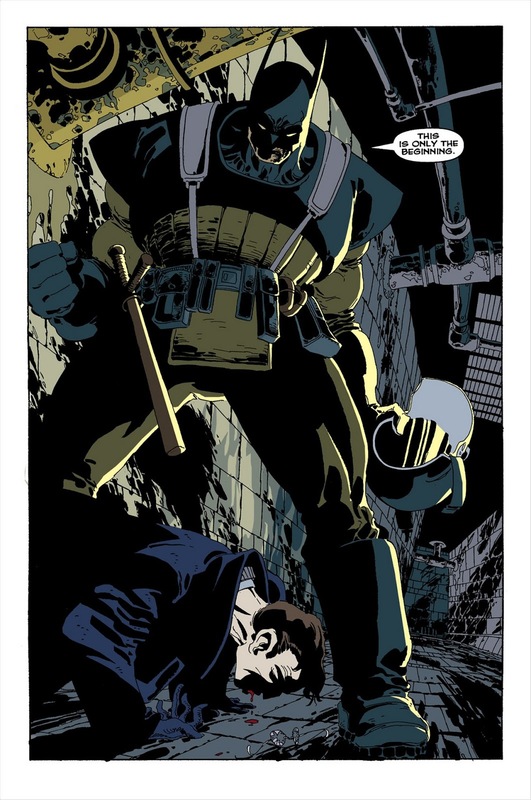 Two-Face escapes and murders his old assistant in cold-blood, because of Batman’s merciful act. 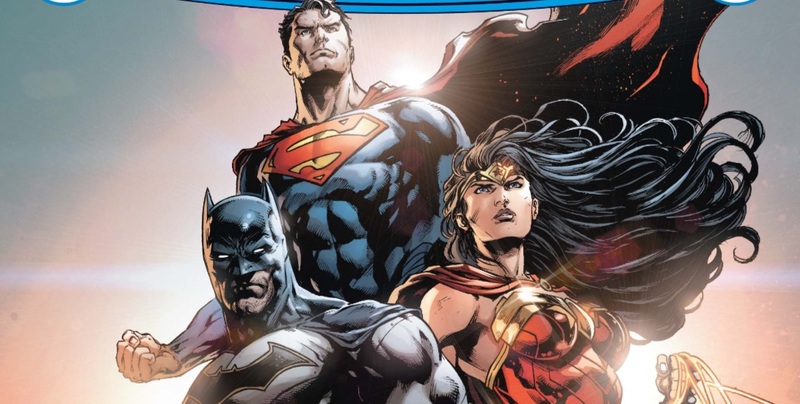 This will haunt Batman and solidify his distrust issues in Dark Victory. Our heroes won the day. Despite everything that has transpired, Two-Face assures Batman and Gordon that there is still some piece of the old Harvey left. On the same rooftop where the three of them made a pact a year prior, Two-Face surrenders. The Long Halloween is over. What happened to our heroes? Gordon and Batman reflect on the sacrifices they had to make this past year. This is the most heartbreaking scene in the whole series. Technically, Batman, Gordon, and Dent succeeded in their mission to take down the mob, just not in the way they expected. Nor did they every think that the mob would be replaced by something even worse. It was a pyrrhic victory at best. In retrospect, the sequel series Dark Victory is very aptly titled. There is no way around it: the ending revelation that Gilda was the first Holiday killer is terrible. If you apply it to the previous chapters, it makes no sense. Apparently, a common housewife was able to sneak into a guarded compound and kill Johnny Viti. Or what about when she was hospitalized during Thanksgiving and Christmas? She got out of her hospital bed and surprised a gang of career criminals? The list of impossibilities goes on. Gilda was Holiday because she believes in Harvey Dent. That’s what I thought about this final chapter. Loeb and Sale nail so many good scenes. The dramatic Two-Face reveal, Alberto flaunting his new-found fame, and the final Gordon/Batman interaction. The writing here is noticeably looser than in previous chapters. How did Alberto get convicted so quickly? Beats me. 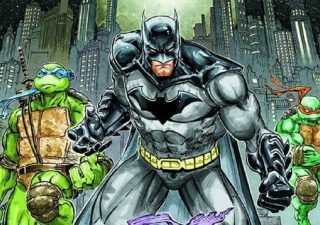 How did Batman take out all the villains so easily? Who knows? 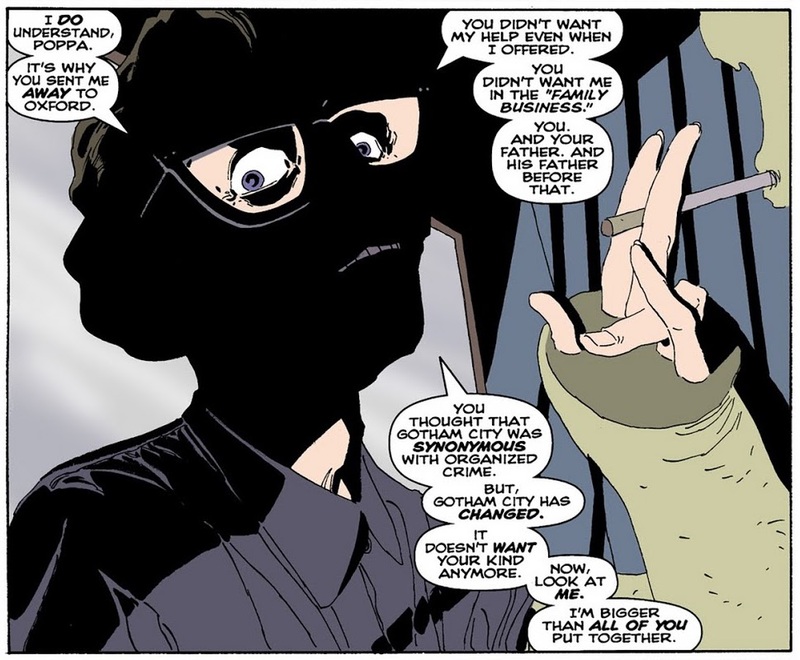 Is it really possible for Gilda Dent to kill so many people unnoticed? I guess so? It is better to not to over-analyze the details of the issue’s plot so much and see it as an emotionally sad ending for Harvey Dent. Batman has lost faith in all moral institutions. The only thing he has left to believe in is the Batman. 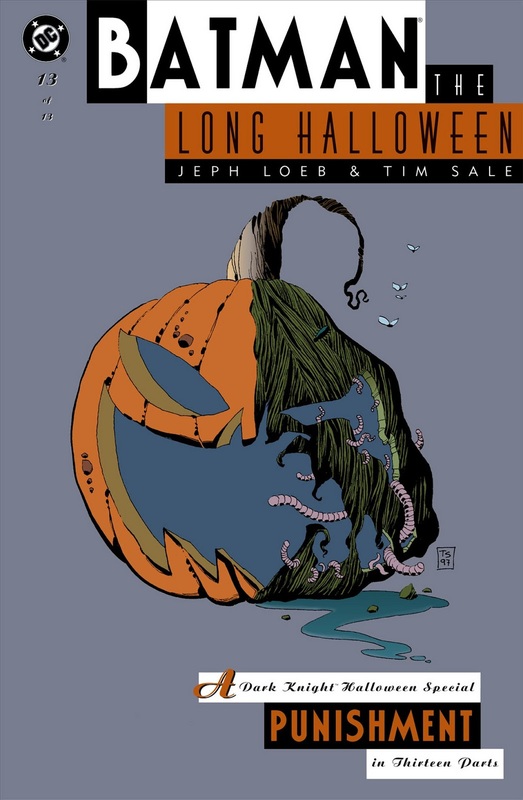 Overall, The Long Halloween is suspenseful, intriguing, and most importantly, tragic. Real life does not have any clean resolutions. And neither does Batman’s world. 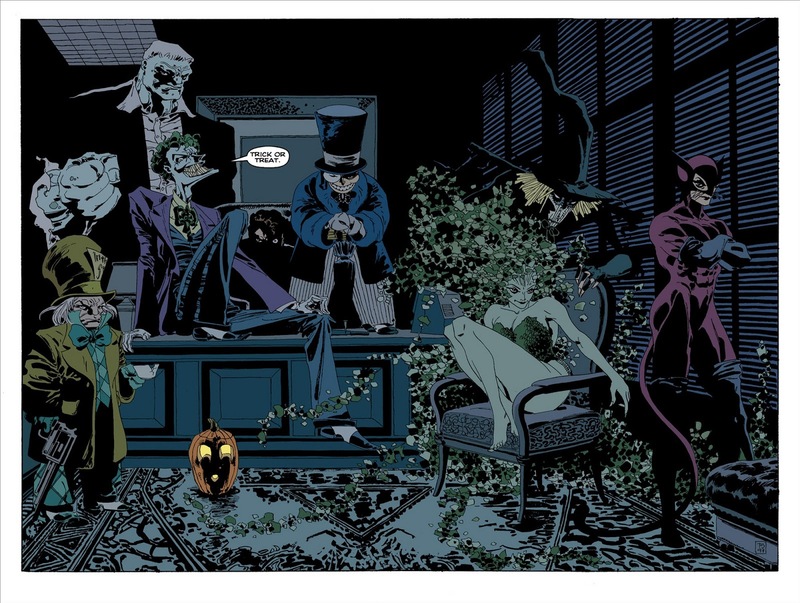 This is what makes The Long Halloween a quint-essential Batman story.